It was raining again yesterday so I tried to take photos of the raindrops. However, I was failing miserably and was starting to get frustrated. I had this vision but I just couldn't execute it properly. It really put me in a terrible mood and then I turned around and saw this goofiness going on behind me. 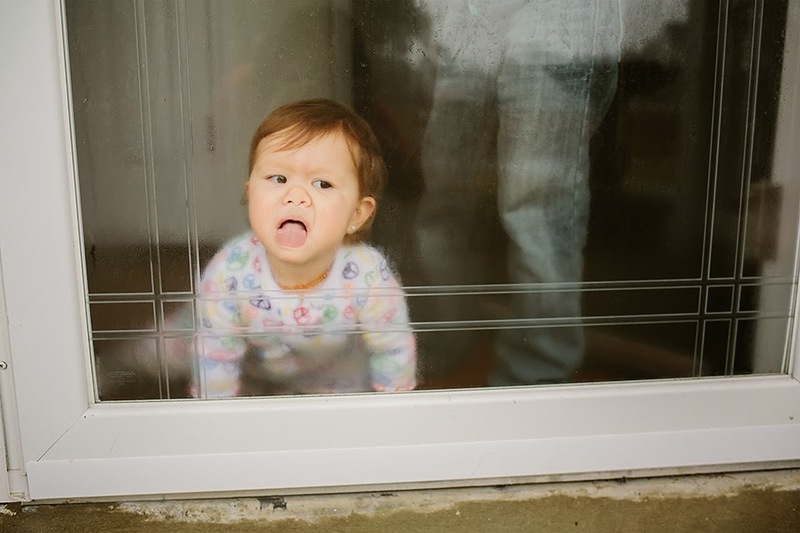 While I was taking photos, Amelia was busy licking the cold condensation from the door. I immediately remembered this. It is history repeating itself again!